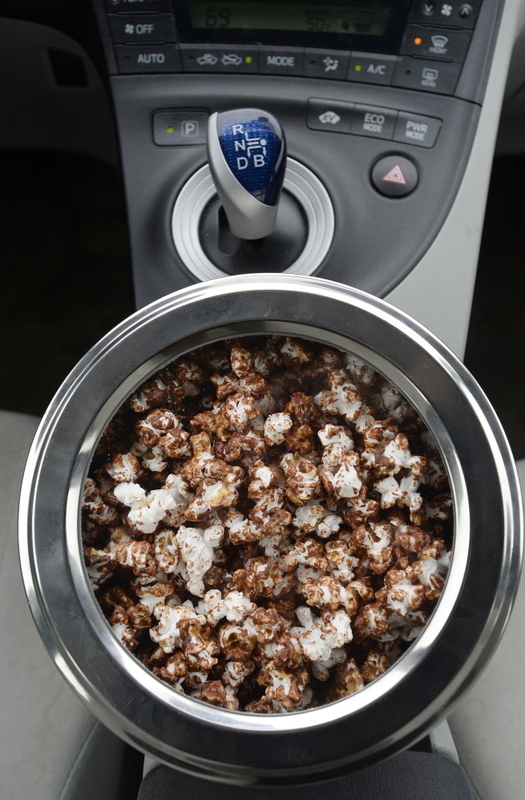 It's hard to beat homemade chocolate-peanut butter popcorn to fuel both driver and passengers. According to a recent survey conducted by tire maker Bridgestone, 89 percent of Americans are planning a road trip this summer, with the average trip odometer set to register 660 miles. As someone who’s got a friend’s wedding in central Pennsylvania to attend; a mom’s birthday in western Massachusetts to celebrate; and a son determined to check out colleges in Memphis, Baltimore, Philadelphia, New York City and Providence, I am significantly messing with Bridgestone’s statistical curve. I’d hazard a guess they don’t mind my data transgression as they’re perfectly content to sell me new tires, just as Sunoco will happily take my gas money and Comfort Suites will gladly split my bill between my credit card and my loyalty points so I can sleep in their air-conditioned rooms while visiting the steamier destinations. To help offset this carbon-loaded side of my summer travels, I will avoid buying prepackaged rest-stop edibles and corporate fast-food products at all costs. For the record, in my book, quaint roadside shacks advertising steamed Maryland crabs, fresh Amish pretzels and southern barbecued anything do not fall into either of those categories. When starting out on a road trip, it’s greenest to use up the bits and bobs already in your fridge and cupboard, things that would go stale, off or rancid before you return. 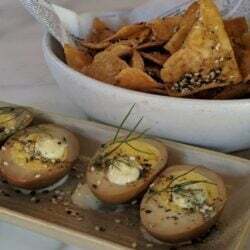 The last pita in the bag, for example, can be cut into triangles, brushed with a bit of oil, seasoned with salt, flavored with dried herbs and baked into Dorito replacements. Or a scoop of corn kernels can be popped and the half-eaten chocolate bar and last bit of peanut butter in the jar turned into a protein-enhanced, grown-up sweet and salty popcorn. 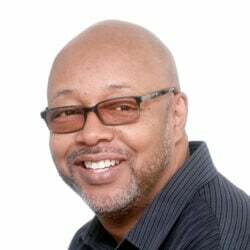 If you have to shop, look for farmers market items with minimal packaging that can handle sitting in a hot car for a couple of hours, if need be. At my market in Brunswick, these items are local beef jerky and dried apple slices, which I tend to share, and lavender shortbread cookies, which I don’t. I don’t recommend traveling with fresh fruits and vegetables as they get hot, bothered and bruised even with careful packing. But I will stop for any farm stand when I can see the ripe stone fruit from the road. We eat them on the premises, assuming the position that prevents the juice rolling down my chin from getting on my clothing. With a bit of reusable gear – like insulated stainless steel water bottles and coffee mugs, a collapsible cooler that fits snuggly on the bump in the floor between the two backseat passengers in my fuel-efficient mid-sized sedan and an assortment of eco-friendly glass and metal food storage containers – we’re good to go, stopping only as nature requires. 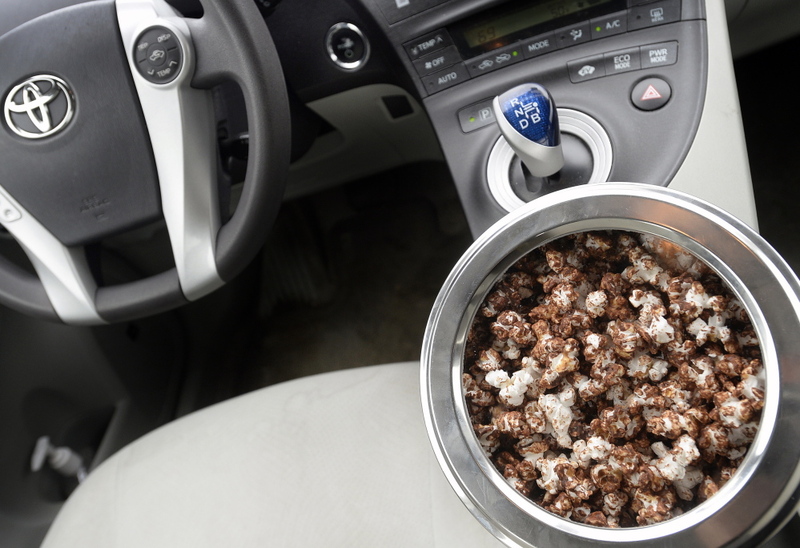 Whether you’re the driver who needs to stay alert or the passenger who needs to stay awake to keep the driver company, the flavors and crunchiness of this snack help. Heat the oil in a medium pot over medium-high heat. Pour in the corn kernels, cover the pot and shake. As the popcorn pops, shake pan occasionally and remove from the heat once the popping slows to 2-3 seconds between pops. Pour the popcorn into a large bowl that has plenty of room to spare. Place the chocolate and 1/2 teaspoon salt in a microwave-safe measuring bowl and the peanut butter in a second microwave-safe bowl. Heat both in the microwave in 30-second increments until both the chocolate and peanut butter melt and can be easily stirred. Pour both over the popcorn and stir to coat. Spread the mixture evenly on a baking sheet lined with parchment and sprinkle with the remaining 1/2 teaspoon salt. Let sit at room temperature until chocolate has hardened, about 1 hour. Pack in a metal cookie tin with a tight seal for easy access on your road trip.